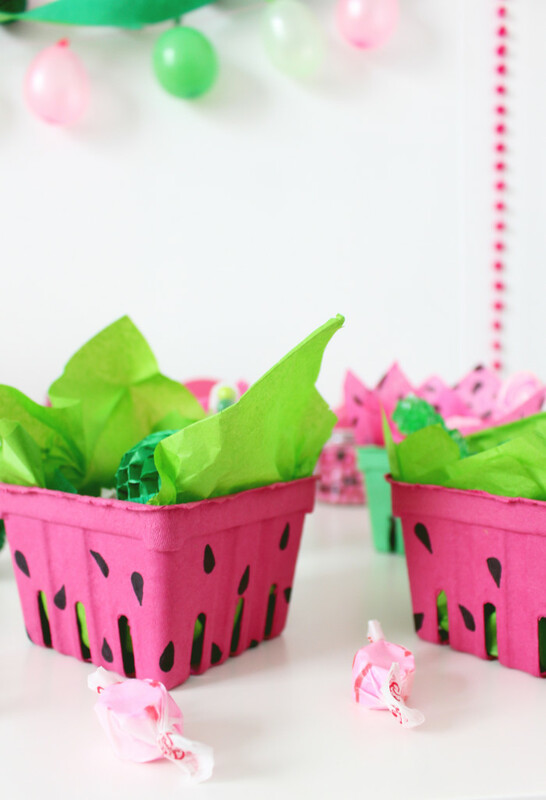 You know you need some watermelon gift boxes in your life! Seriously though, these boxes are actually what started the whole watermelon week thing! 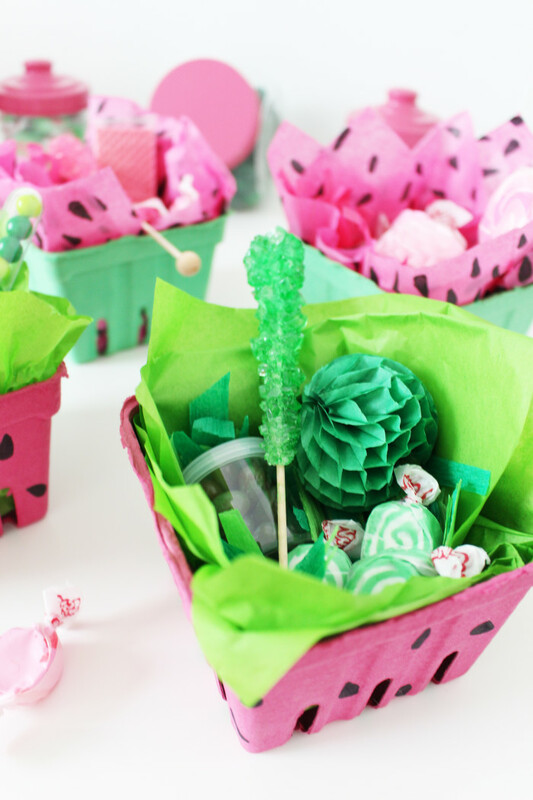 I absolutely adore berry boxes and when I saw these PINK and green (and tons of other colors!) at Michaels I was like “hmm yeahh…I need these…” and stealthily threw them in my cart. I don’t really know why I was stealthy, it wasn’t like Stella was gonna say “Mom, are you kidding me, more party stuff? You do not need that!” But I just felt like maybe my inner voice was saying that and so I was like, look away inner self, look away. And aren’t you glad I did? I mean, these were BORN to look like watermelons! 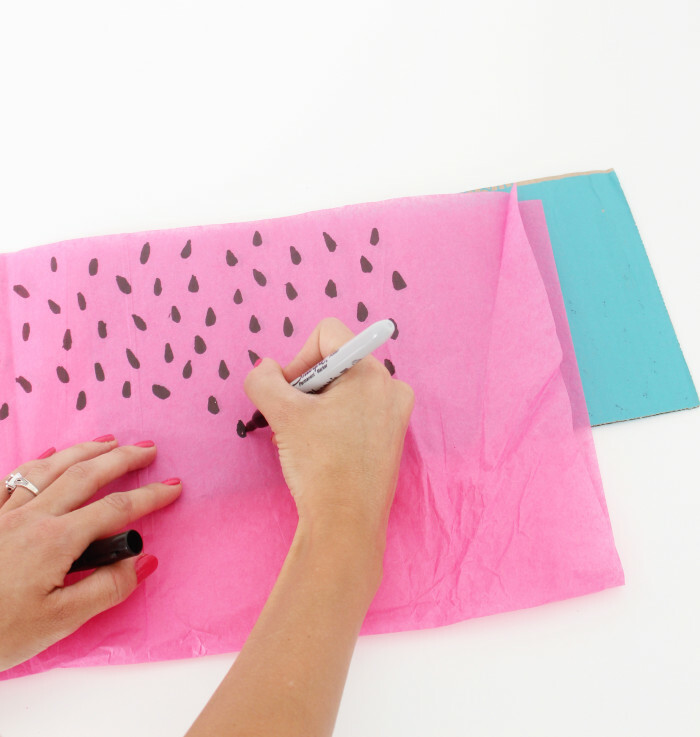 I used my permanent maker to draw little tear shaped seeds all over the pink tissue paper and the pink berry boxes. 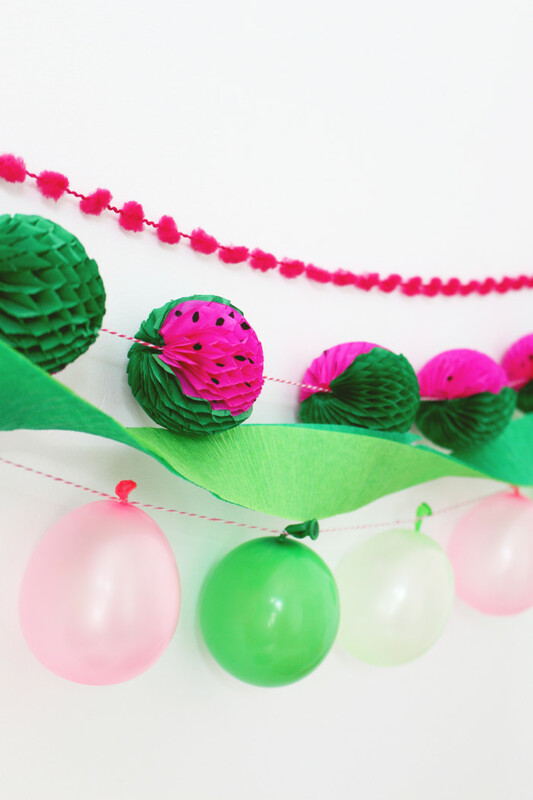 I loved using both colors and doing inside out watermelons but you could just use one! It’s totally up to you! 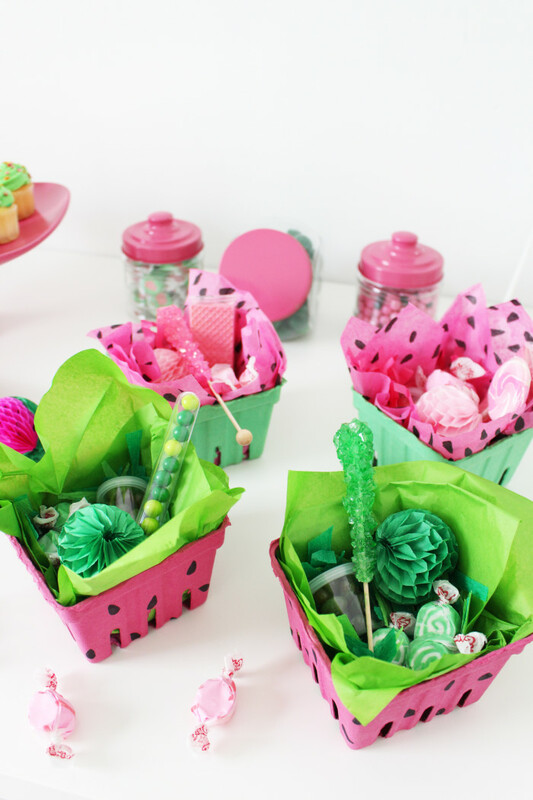 You could also just put all the treats you’re planning to serve in these for your guests instead of using only as a party favor. Or you could give this as a gift! 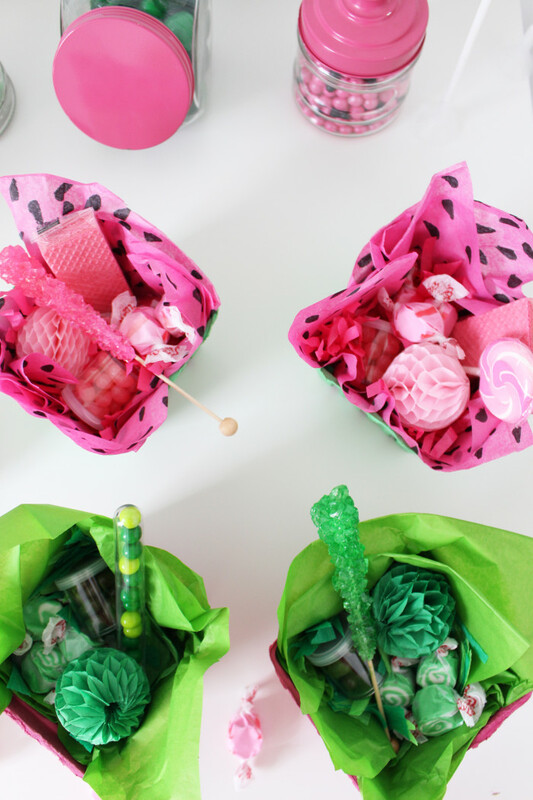 What a fun themed present that doesn’t require a lot of work on your part! 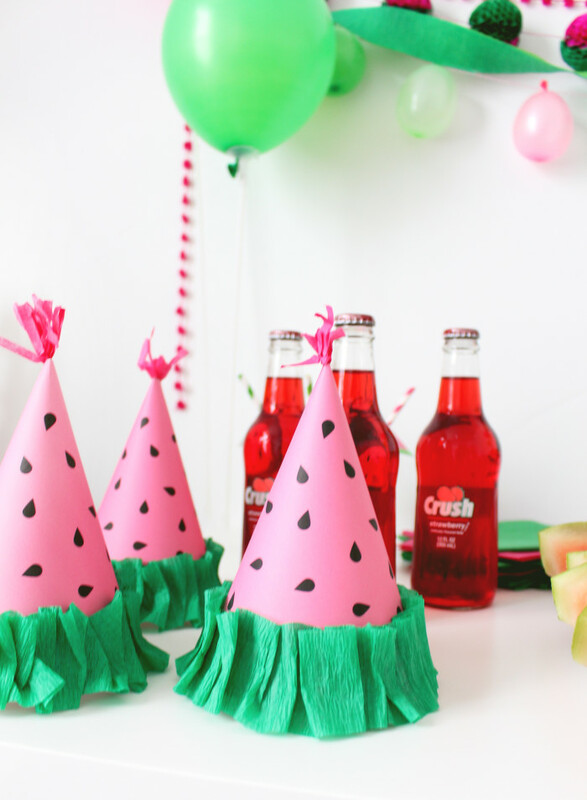 One more watermelon post this week guys, hooray! 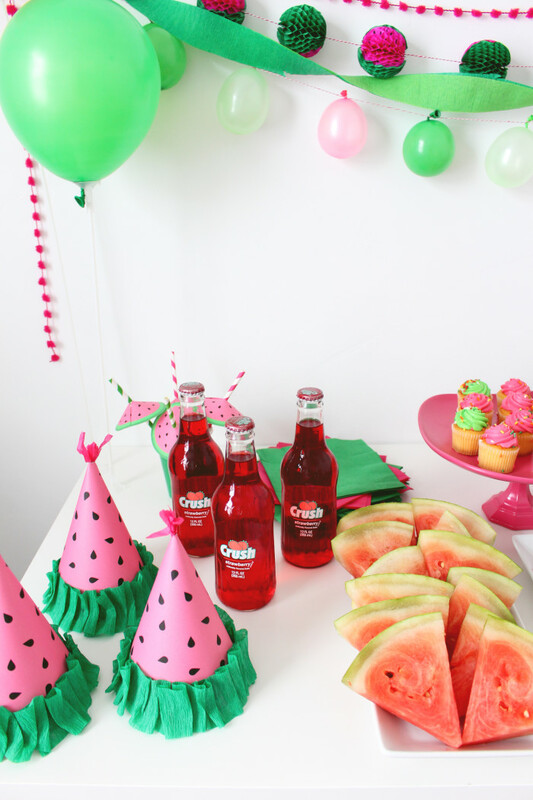 Tomorrow is National Watermelon Day! 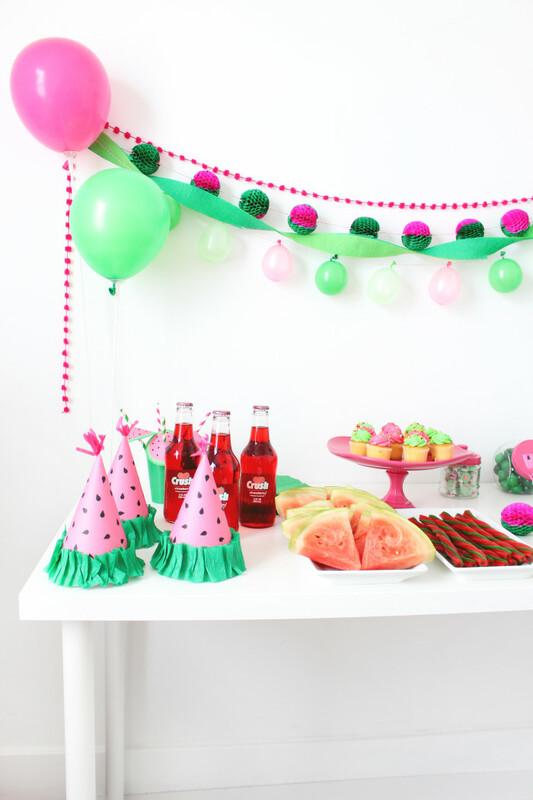 So we decided to celebrate by having Watermelon Week this week here at AJR! Watermelon Week friends! 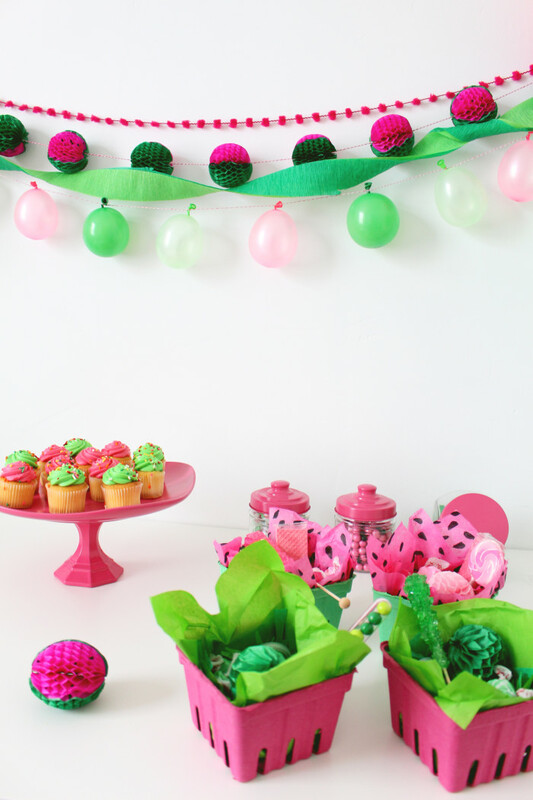 So much pink and green goodness that culminates in a cute and sweet little party. 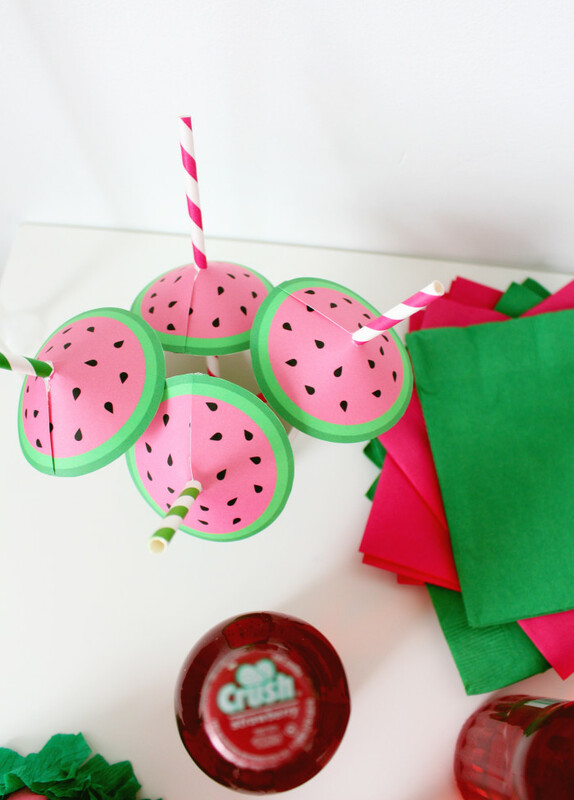 This party includes tons of fun printables and craft ideas to throw your own little watermelon bash and today I’m sharing how to make mini honeycomb watermelons! I adore these little guys and stringing them up as a garland over the treat table really tied the whole thing together. 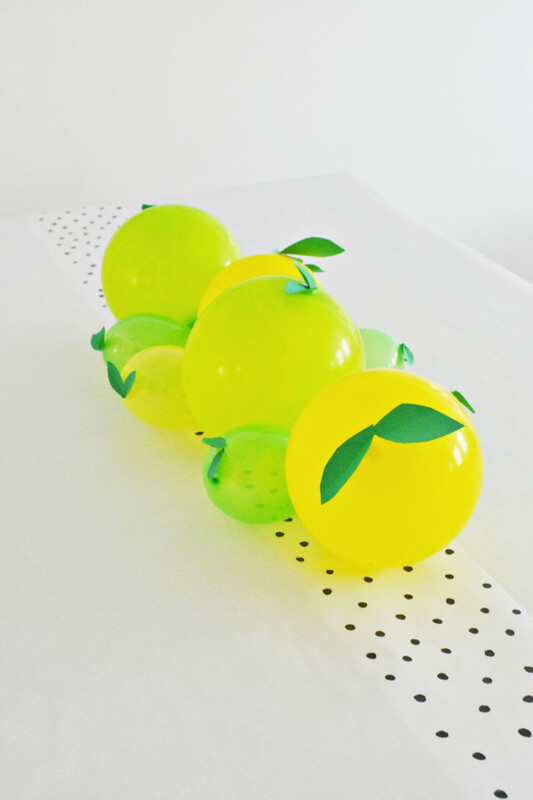 Click through to see how to get your own sweet little melons! 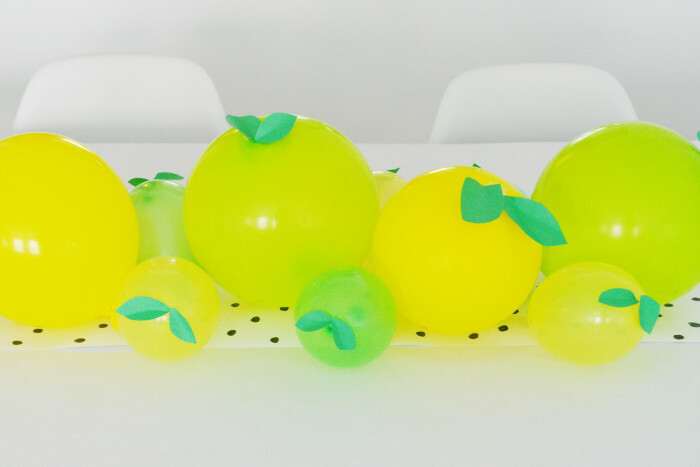 Told you all that more lemon and lime crafts were coming up! 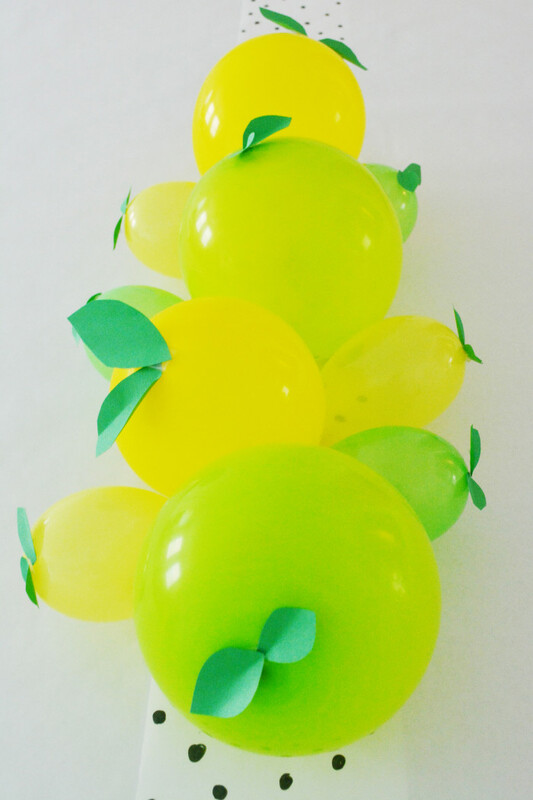 I made this centerpiece for a lemon and lime party that I will be posting soon. Stay tuned for tons of bright green and yellow goodness. 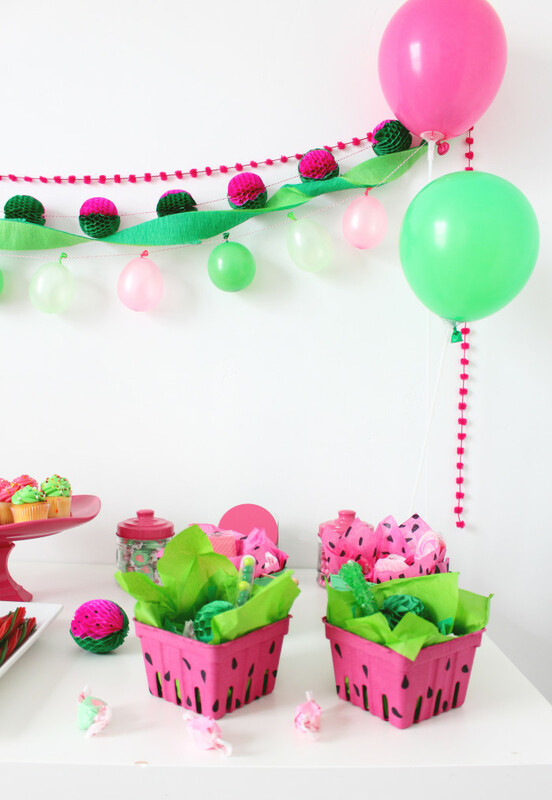 The idea for this came from two places – first Machelle’s amazingly happy fruity straws and second from the House that Lars Built’s balloon centerpiece that I just love and thought would make a great base for this project. And obviously now that I have done this I will probably do the same thing with all fruits. 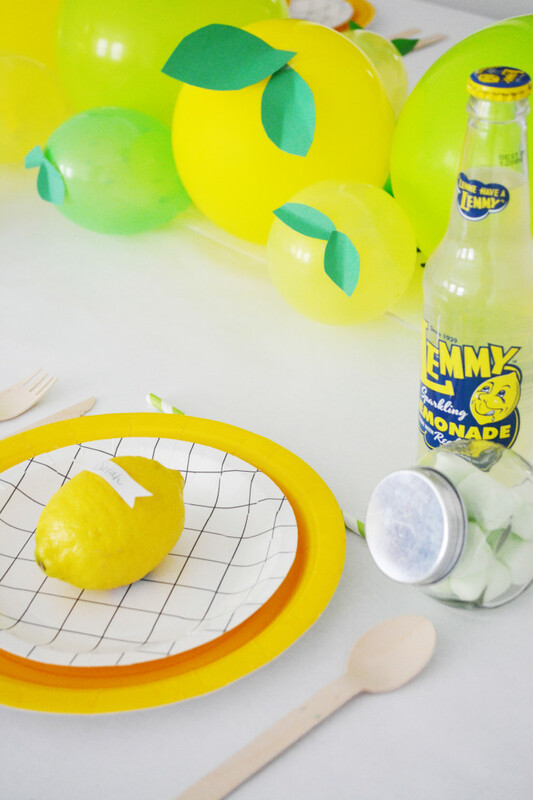 Like how the lemon straws proved to be a good pilot project, consider this the first of many more fruity projects and centerpieces!